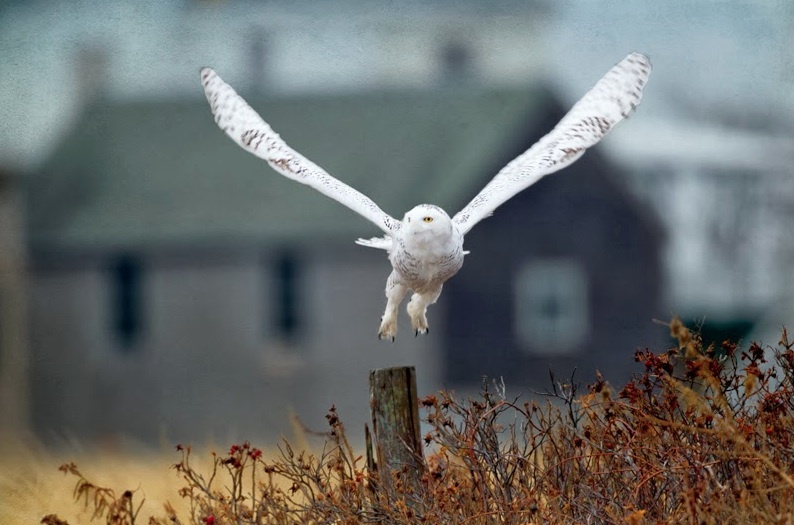 Magnificent, majestic, regal: all apt descriptions of the snowy owl, a bird that motivates many people to brave the cold and wind for a glimpse of its otherworldliness. Here in southeastern Massachusetts, we see a few snowies every winter because this is part of their usual winter range. However, this year has seen a virtual explosion of snowy owls and not only in Massachusetts. Thrilled birders have reported snowies in the US through all of New England, the mid-Atlantic and as far south as Tennessee, and across the Midwest and the Great Plains…even in Washington. 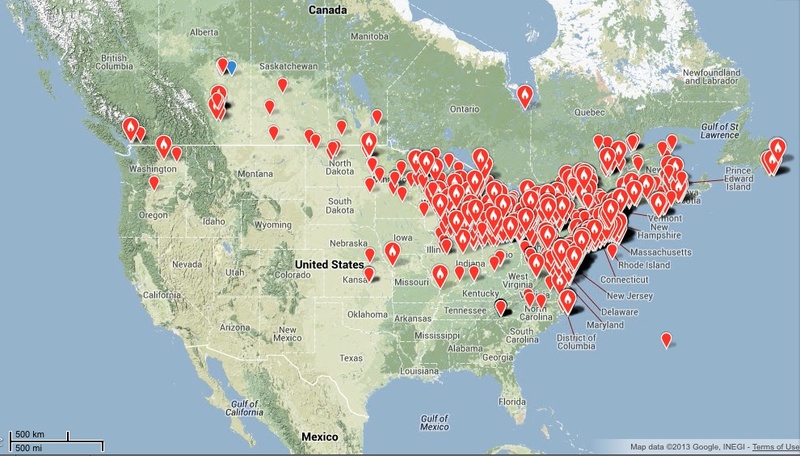 Snowy owl sightings across the US from Nov. 1 to Dec. 14, 2013. 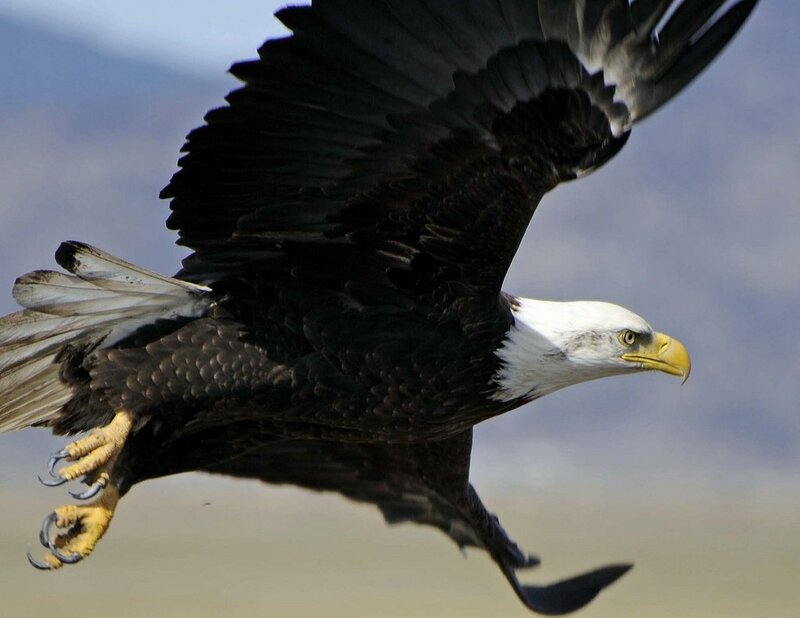 What moves these majestic birds to visit us? There are several hypotheses: one likely one is that this summer was a year of prodigious food north of the Arctic Circle. Breeding pairs were able to raise as many as 12 young stuffing them full of lemmings and other rodents. Once the voracious brood fledged the heavily marked young dispersed to find their own food just as the lemming supply decreased. Thus, they had to fly down from their fabled, northern realm, searching for similar treeless landscapes and finding them at airports, in fields and on beaches. 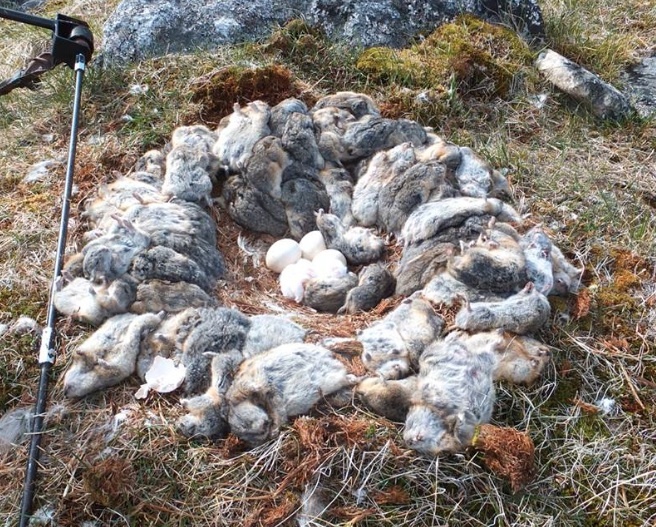 A snowy owl nest lined with lemmings before the eggs have hatched. Photo by J. F. Therrien. Devoid of lemmings, the new habitats nonetheless provide sustenance to the quickest and hungriest learners, in the form of other types of rodents, rabbits, waterfowl, shorebirds and even fish. If a snowy owl finds enough food, it will stay in one place all winter long. 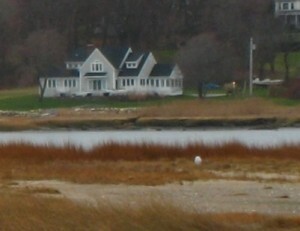 If you have a point and shoot camera and are on foot, your snowy owl photo might look like this. Good job! It means you have not disturbed the bird. Photo by Dorie Stolley. Please welcome these Arctic visitors from a respectful distance. They will spend much of the day resting in a spot that provides a good vantage point – on a slight rise, a fencepost, or a house. Without disturbance, an owl will spend hours nearly motionless, occasionally swiveling its head and gazing toward you with its distinctive yellow eyes. Wildlife photographer Edmund Prescottano spent three hours on Duxbury beach with five owls within view to get this lucky shot. 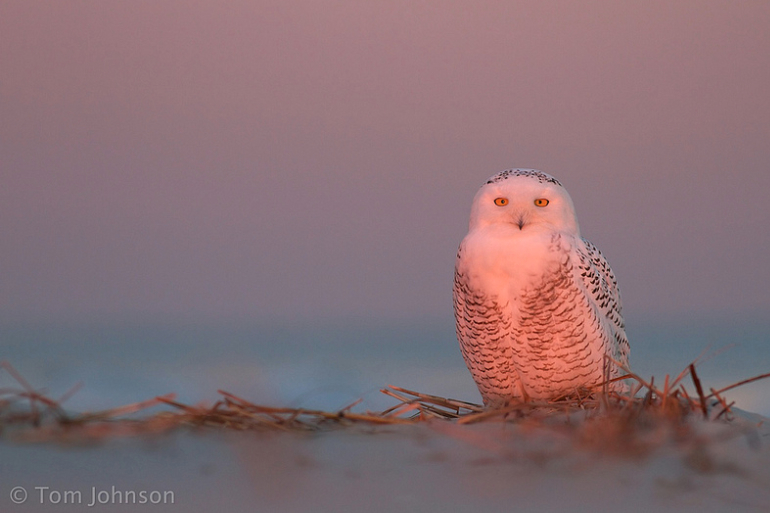 A snowy owl illuminated by the setting sun. Photo by Tom Johnson.